Virgin Atlantic airline was founded in the year 1984. It later commenced to offer its services on 22nd June 1984. It is a British airline. It started its operations as British Atlantic Airways by its founders Alan Hellary and Randolph Fields to fly between London and the Falkland islands. Fields had disagreements with Sir Richard Branson over management issues and sold his shares. The airline changed its name from British Atlantic Airways to Virgin Atlantic Airways (Airways, 2001). 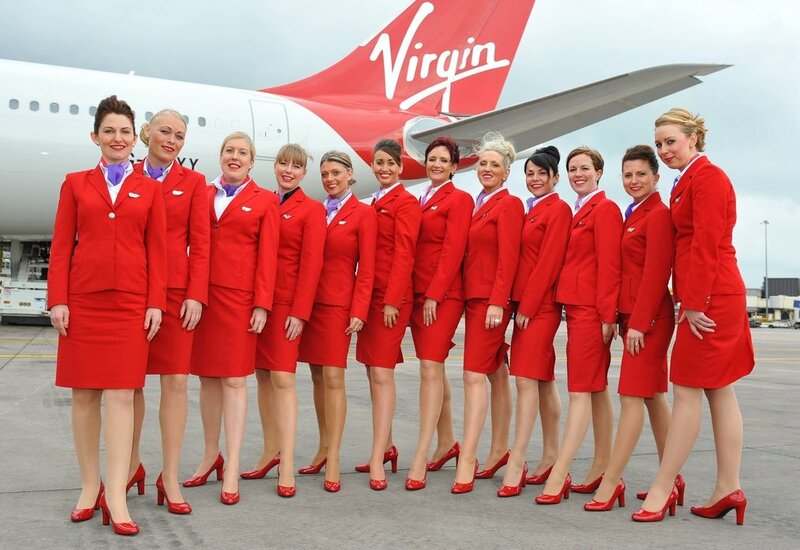 The airline is controlled by Virgin Atlantic Limited. The Virgin Atlantic Limited is owned by the Virgin group and the Delta Airlines. They own it 51% and 49% respectively. The airline uses a mixed fleet of Boeing and Airbus aircrafts. These are wide wide-bodied aircrafts which carry a lot of people and cargo, making the airline a favourite for many. It started using Boeing aircrafts in 2014 and has been purchasing more of them ever since. Its fleet is operated by Virgin Atlantic Airways Limited and Virgin Atlantic International Limited. It has 38 aircrafts in its fleet. It has a main base in London Heathrow. It also has a secondary base in London Gatwick. From these bases it operates to and from Asia, Africa, North America and other countries in Europe such as Germany, France and Italy. In 2008, Virgin Group sold 49% stake of the airline to Singapore Airlines. Later in the year, Singapore confirmed that the airline was underperforming. This continued up to the year 2010 when it went back to its feet. In the year 2015 the airline made a profit of 80.1 million euros which was 3% higher than the year 2014. In 2016 they made a profit of 187.3 million euros which was a 62% increase in profit from the previous year. In 2016 they had carried 5.4 million passengers (Monitor, 2000). They did not make any losses despite the BREXIT which caused the cost of the British Pound to decrease its value. The company does not have any known debts to any international airport, fuel company, airline company or shareholder. In 2014 though, the airline was considering temporarily terminating domestic flights. This is because they were causing them heavy losses as there was low seat occupancy yet the cost of fueling the planes was very high. Virgin Atlantic Airways has several licenses. It has Civil Aviation Authority Type A operating licenses. These are licenses AOC 534 and AOC 2435. These licenses enable and allow the airline to transport or ferry people, cargo and mails. They also allow the airline to operate planes with more than 20 seats. The airline operates with planes divided into three class cabins. There is the economy, premium economy and upper class cabin. Economy class does not have many special features. It is operated by average travelling passengers. The premium economy is lavish in style. It has wide seats and enough legroom (Merry, 2001). Premium economy passengers also enjoy separate check points and check-in areas. The upper class cabin has comfortable and entertaining features. Seats have televisions and stereo systems. Beds can convert into full comfortable beds. The airline uses light weight aircrafts which reduce fuel consumption. This reduces greenhouse gas emission. Smaller aircrafts in the airline also use biofuels to reduce the greenhouse effect. This is very safe as passengers are safer as biofuels are less flammable. With over 9000 employees, the airline requires a good management that handles the company well and still continues making tremendous profits. Virgin Atlantic Airways has a functional structure to manage employees (Merry, 2001). This means that it has grouped employees into different functional areas according to their abilities, knowledge, skills and specialization. There is also a lot of democracy and Laissez-faire management style in the airline. There is also the use of transformational leadership in the airline. People and expected and encouraged to actively participate in making decisions, offering its services and sharing ideas, comments and opinions for the airline to improve on its performance. There is Craig Krieger, chief executive. Shai Weiss, vice president and chief commercial officer. Philip Maher, executive vice president of operations. Mark Anderson, executive vice president in charge of travellers and customers. Dan Langford, senior vice president in charge of technology (Merry, 2001). These senior officials work together to ensure effective management and success of the airline. By the year 2016 December it had over 9580 employees. These employees consist of managers, flight attendants, captains, pilots, nurses, engineers, directors and technicians. They operate from different parts. Some are in the main and secondary base while others are in their designated work posts in different locations such as London, Lagos and Johannesburg. The airline has quit a bright future ahead of it. It is planning to expand its operations to the Asian market (Monitor, 2000). This is because they a lot of demand in the Asian market and they feel there is potential profit in the Asian market. Merging with Singapore Airlines also makes them more acceptable in the Asian market than other foreign airlines. They plan on increasing their fleet of airplanes to avoid inconveniencing customers and causing air and airport traffic. They plan to buy an Airbus A350-1000 which will cost them 4.4 billion dollars. This will improve their effectiveness. It will also assist them in fully venturing other markets such as Asia.